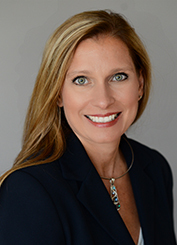 Ms. Kessler is the Director of Finance at L. Mason Capitani CORFAC International. In this capacity, Ms. Kessler’s responsibilities include the oversight of the firm’s accounts payable department as well as the disbursement of all incoming funds. Prior to joining the firm, Ms. Kessler worked in the mortgage department at Talmer Bank and Trust as well as various positions with EDS Electronic Data Systems. She is a graduate of Oakland University in Rochester Hills, Michigan with a Bachelor of Science in Marketing.